Looking "where to sell my MG TA?" Ask the Chicago Car Club! Are you wondering "where to sell my MG TA ?" The Chicago Car Club is interested in classic cars of all makes and models, especially a MG TA. We make the process of selling your MG TA quick and painless. In just a matter of hours we will have your classic valued and, if you do so choose, turned into money in your pocket. All it takes is a phone call or electronic inquiry to get the ball rolling. Morris Garages produced the MG-TA from 1936 to 1939 as part of its T series. The entire T series lasted from 1936 to 1955. The series included the TA, TB, TC, TD, and TF. Many casual car fans find it difficult to distinguish the TA from the TC. However, a few differences are the TA’s running board and folding windscreen. It also features two seats with foldable hood and side curtains. The TA uses a 1292 cc engine with a power output of 50 bhp at 4,500 rpm. The manual gear uses a synchromesh, which was the first time it was used on a MG sports car. Morris Garages exclusively produced the MG-TA with right-hand steering wheels. The MG-TA brakes are hydraulically operated, which was another first at the time for MG. The MG-TA came in three body designs: the roadster, the Airline coupe, and the Tickford coupe. MG quickly discontinued the Airline coupe when the Tickford coupe became popular due to its ability to open or close the soft-top. 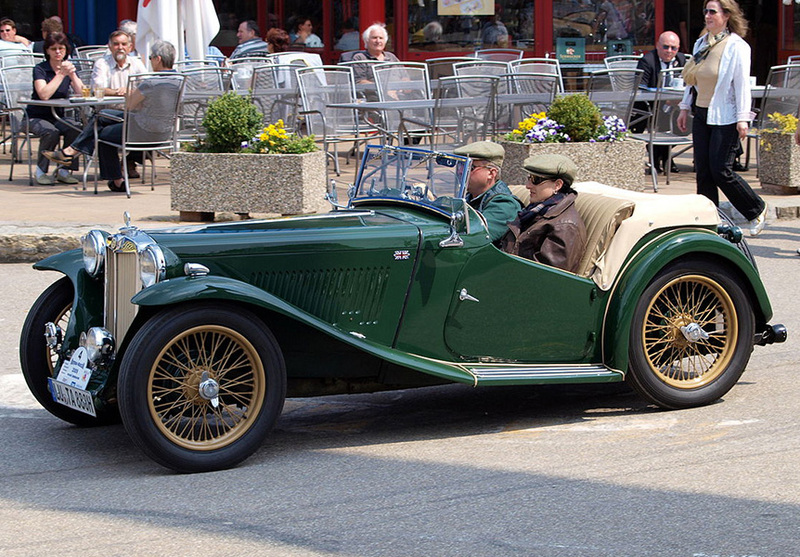 It protected drivers from harsh weather, but gave them the freedom to open it to enjoy the sun in nicer conditions. Morris Garages produced over 3,000 MG-TA units within its three years of production.